Inland Dance Theatre presents it's holiday tradition "The Nutcracker" ushering in the holiday season with a magic, wonder and beauty all its own. 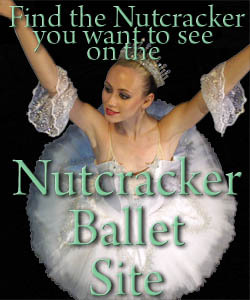 Presented in the historic California Theatre of the Performing Arts, "The Nutcracker" with the Sugar Plum Fairy, Snow Queen, Cavalier and, of course, Clara -- all will come to glorious life for three performances only Dec. 8-10. Pyotr Llyich Tchaikovsky's ballet, about a young girl named Clara who dreams of the Nutcracker Prince and a fierce battle with the Mouse King, is one of the most popular ballets of all time. The ballet, which is performed by dozens of groups worldwide primarily during the Christmas season, includes such well-known characters as Clara and Fritz, Herr Drosselmeyer, the Nutcracker-Prince, the Sugar Plum Fairy, Harlequin and the Mouse King. The music in Tchaikovsky's "The Nutcracker" is among his most beloved. It contains some of his most memorable melodies, several which are frequently used in television and film, as well as in TV commercials. One of the most recognizable pieces is The "Trepak" or "Russian Dance," along with the famous "Waltz of the Flowers," and the "Dance of the Sugar Plum Fairy." The 80-member Inland Dance Theatre cast of all ages is made up of amateur and professional dancers and actors from throughout Southern California. Local residents are from San Bernardino, Redlands, Highland, Yucaipa, Crestline, Mentone, Lake Arrowhead, Moreno Valley, Beaumont, Corona and Fontana. WHERE: California Theatre of the Performing Arts, 562 W. Fourth St., San Bernardino.